FOR 10 YEARS I HAVE TREATED MY 17-YEAR OLD CAT’S EARS WITH ALL THE MEDICINES ON THE MARKET WITHOUT ANY RESULT. 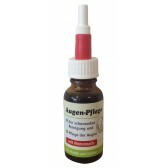 AFTER A MONTH OF USING OHREN-PFLEGE, LEO’S EARS ARE CERUM AND ACAR FREE. THANK YOU, REALLY EXCELLENT. 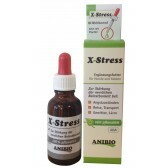 A truly outstanding product ... natural and effective! It beautifully cleans my puppy’s ears and leaves a delicate lavender odor! It has been about a month that I am cleaning my puppy’s ears with it and there are no more wax traces. Thank you for the customer service advise. If you want more detailed information about this product, please search over the web for the manufacturers official page by inserting "Anibio (eu) Ohren-pflege (ears Cleanser)" or contact our customer service. For cleaning and caring of dog and cat ears, without alcohol. The ears of your pet may need regular attention to be kept clean and to prevent infection. Over time, parasites, bacteria, yeasts and ear wax accumulate in the ears of the dog, leading to inflammation and infection. 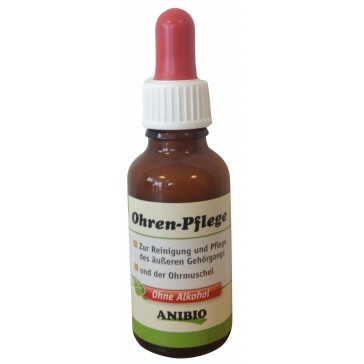 The ear drops Anibio Ohren-pflege are used for cleaning of the ear and the ear canal. The drops do not contain alcohol. Whenever necessary use 2x a day 3-4 drops for dogs and 1-2 drops for cats in the external ear canal and massage the outside of the ear (under the ear). Distilled water, lavender, geranium essential oil, Melaleuca alternifolia. I have given the product to periodically clean one of my dogs’s ears. Cleaning is easy and effective. It solves the problem of bad smells leaving the skin soft and pleasantly scented. Moreover it is completely natural!